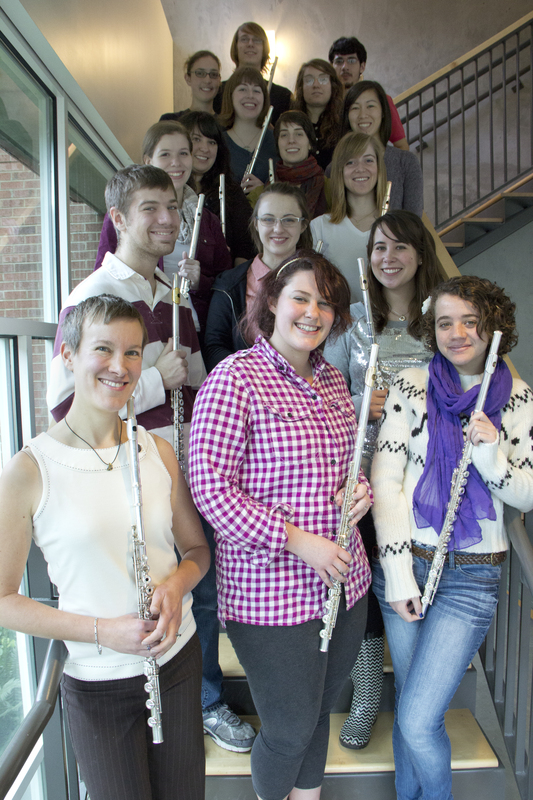 The University of Oregon flute studio is organizing its quarterly performance on Saturday, May 11, 2013 at Broadway Avenue House Concerts, located 911 W. Broadway in Eugene. The theme for this upcoming concert is “The Flute and Spoken Word,” and will include submissions from members of the flute studio. The program resonates with various concepts of performance, presence, and interaction in a concert setting. The theme will take many forms over the course of the evening. The most basic manifestation of the interaction between the flute and the voice is found in pieces that require the flutist to speak and play. With the intimate atmosphere at the venue, the audiences will have a closer connection with the artists. The ultimate goal of this concert is to provide listeners some thought-provoking materials to consider during their future musical experiences. Two years ago, the flute studio organized a food drive. This year, the members decided to change the event into a book drive. The admission fee for the event is a gently used book or magazine, which will be donated to a local public library. The materials will also be used in one performance on the program, and will help a library generate revenue during annual book sales.